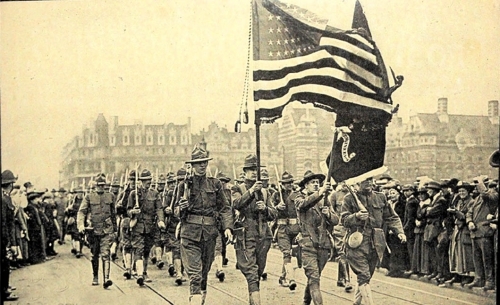 This short piece continues series on some “Deeply Momentous Things” — that is, American intervention in the First World War. (See Part One.) As the first installment has shown in a general way, the background of the war among Europe and its extensions (Canada, Australia, etc.) is crucial to understanding how the United States would eventually declare war on the Central Powers. More specifics on this issue will help us understand just what the might of the United States meant to the warring powers. European leaders on both sides hoped to change the dynamic of the war in January 1917. Certainly, from a technical military standpoint, 1916 represented a highly complicated and progressive experimentation with methods of war that would break up the stalemate. In answer to a question posed in the first installment — who was winning at the end of 1916 — if I had to choose the side that had the upper hand in December 1916, I would probably choose the Central Powers by a nose. In December 1916, Field Marshal Haig, Commander of the British forces on the Western Front, sent in an extensive report to his government on the just completed Somme Campaign. The Somme battles had advanced the Allied line in some places but had never come close to a breakthrough. And the losses of both British and French units were appalling. Yet Haig declared the Somme campaign a victory in that it had achieved the wearing down of the Germans and the stabilization of the front. Yet even with Haig’s report in hand, British statesmen and diplomats were not as optimistic. The Field Marshal’s optimism could not hide the fact that the Somme advance had been at best shallow, and that the Germans still held onto nearly as much of France as they had before. And significantly, the Central Powers were killing Entente troops at a faster rate than the Allies were killing the Germans and their Allies. For every two deaths on the side of the Central Powers, three Entente soldiers were dying. And there were more concrete signs of distress. In East Central Europe, recently acquired Entente partner Romania faced an Austro-Hungarian, German, and Bulgarian force which had besieged and captured the Romanian capital, Bucharest. 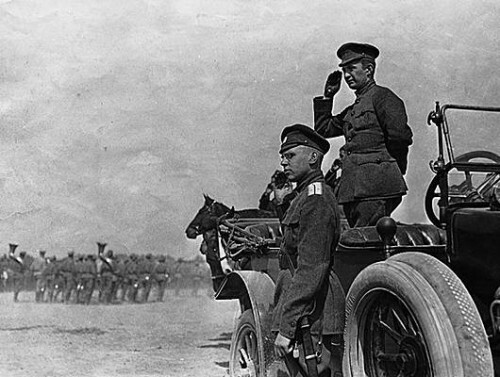 The great Brusilov Offensive against the German and Austro-Hungarian armies was an enormous success at its beginning, and almost certainly took pressure off the French defenders at Verdun, in France. But the offensive tailed off with counterattacks that were costly and worrisome. And there were in addition, the enormous losses to the Brusilov fighters, upwards of a million dead, wounded, and captured. In Russia, rumblings of demoralization — including the plot which would end in Rasputin’s murder in December 1916 — emerged as hunger and depletion accompanied deep winter. 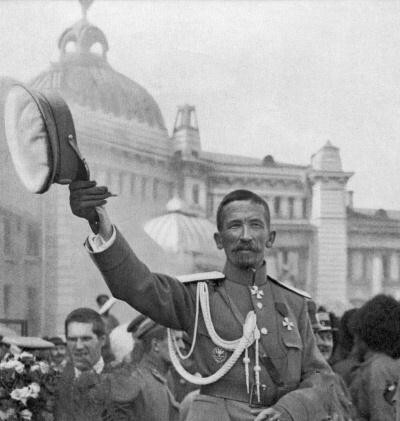 In retrospect, the Brusilov Offensive planted the seeds of Russia’s revolutionary collapse the following year — which would no doubt have tipped the balanced sharply in favor of the Central Powers had the United States not intervened. Elsewhere, it is true, things were going somewhat better for the Russians and the British in fighting the Ottoman Empire by December 1916 and January 1917, but many British leaders thought they were looking at the real crisis of the war a hundred years ago. Hoping to bring every kind of weapon to bear in the midst of this depressing and murderous year, British leaders departed from their slogan of “business as usual” in a variety of ways. Great Britain had already adopted conscription a year earlier in January 1916, though not quite in time to supply replacements for the inevitable losses in the coming offensive operations on the Somme and elsewhere. On the diplomatic front, it was in 1916 that the British government began a process that would end by promising overlapping parts of the Ottoman Empire both to the future “king of the Arabs” and to Jews across the world as a future homeland. At the same time, British propaganda designed to influence the United States to enter the war heightened dramatically. Charles Masterman’s War Propaganda Bureau in London worked on the “American question” with newspaper subventions in the United States, speaking tours, increased distribution of the famous Bryce Report on German atrocities in Belgium, and in other ways. One crucial example of non-traditional attempts to break the impasse was the starvation of German civilians resulting from the British Blockade. In place since late 1914, the Blockade kept even neutrals from delivering food and other essentials to Germany. Before the Blockade was lifted in 1919, somewhere between 500,000 and 800,000 German civilians would die from starvation and from the effects of nutritional shortages on other conditions. Adding indirect deaths influenced by nutritional privation adds many more to the total (see the excellent analysis of the Blockade by David A. Janicki, as well as Ralph Raico’s detailed review of the classic book on the subject by C. Paul Vincent). Meanwhile, the one obvious solution to the war — namely, ending it — seemed out of the question. Both sides desired any help they could get, but both sides had turned down offers of mediation, truce, and negotiations, all of these attempts foundering on the acquisitive territorial aims and financial obligations of one belligerent or the other. One important note: the weather impacted home and battle fronts. The winter of 1916/17 was one of the coldest in memory. The impact on the hungry German home front was immense — this was the terrible “turnip winter,” so-called because turnips were about the only home-grown food available to many. But the soldiers on all sides found the cold almost unbearable as well, misery in the trenches and encampments did not bode well for the future will to fight in any army. 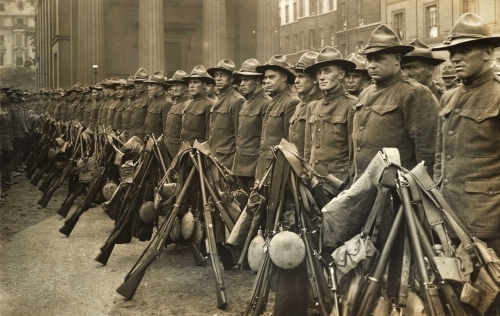 Quite clearly, momentous American decisions were crucial to the future course of the war. Hunt Tooley teaches history at Austin College and at the Mises Academy. Send him mail. Viene spesso, fin troppo spesso, affermato che la causa dell’entrata in guerra di Washington, nella Prima Guerra mondiale, sia stato l’affondamento da parte di un sommergibile tedesco del transatlantico inglese Lusitania, che trascinò con se 123 cittadini statunitensi. (1) In realtà la nave fu affondata nel 1915, mentre gli USA entrarono in guerra nel 1917. Infatti, entrarono in guerra in reazione alla faccenda del “telegramma Zimmermann”. Il 16 gennaio 1917, Arthur Zimmermann, segretario agli Esteri della Germania imperiale, inviò un telegramma cifrato all’ambasciatore tedesco a Washington, utilizzando il nuovo codice 7500 che gli inglesi non avevano potuto decifrare, ma l’ambasciatore a Washington ritrasmise il telegramma nel vecchio codice 103040, noto agli inglesi, all’ambasciatore tedesco in Messico. Berlino dovette criptare il telegramma perché la Germania era consapevole che gli alleati intercettavano tutte le comunicazioni transatlantiche, una conseguenza della prima azione offensiva della Gran Bretagna nella guerra. All’alba del primo giorno della Prima guerra mondiale, la nave inglese Telconia si avvicinò alle coste tedesche e tranciò i cavi sottomarini transatlantici che collegavano la Germania con il resto del mondo. Questo atto di sabotaggio costrinse i tedeschi ad inviare i messaggi tramite collegamenti radio poco sicuri o cavi sottomarini di proprietà estera. Zimmermann fu costretto a trasmettere il suo telegramma cifrato attraverso la Danimarca e la Svezia con un cavo sottomarino statunitense che passava anche per il Regno Unito. Va ricordato, inoltre, che uno stretto collaboratore del presidente statunitense Woodrow Wilson, il colonnello Edward House, fece si che il dipartimento di Stato degli USA consentisse ai tedeschi la trasmissione di messaggi cifrati diplomatici tra Washington, Londra, Copenhagen e Berlino. Il telegramma di Zimmermann ben presto venne intercettato ed analizzato dalla Sala 40 dell’Ammiragliato inglese, l’ufficio dell’intelligence elettronica inglese. Winston Churchill, Primo lord dell’Ammiragliato inlgese, ordinò la creazione della sezione intercettazione e decodificazione dei messaggi criptati tedeschi, appunto la Sala 40, divenuta di vitale importanza per gli Alleati. La Sala 40 era formata da linguisti e criptoanalisti. 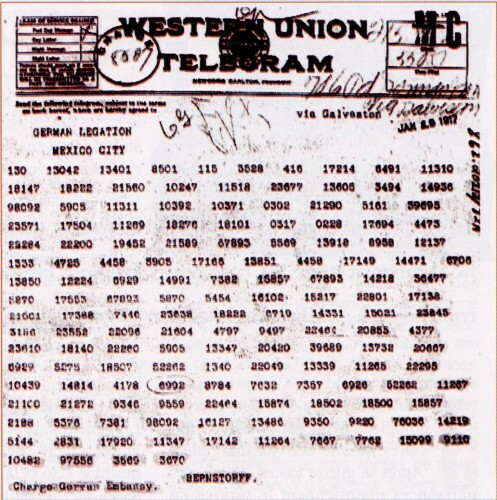 Il telegramma Zimmermann, decifrato parzialmente da Nigel de Grey e dal reverendo William Montgomery, affermava che la Germania voleva istigare il Messico ad attaccare gli USA, un’informazione che avrebbe spinto il presidente degli USA Woodrow Wilson ad abbandonare la neutralità degli Stati Uniti, perciò Montgomery e de Grey lo passarono subito all’ammiraglio Reginald Hall, direttore della Naval Intelligence, aspettandosi che lo trasmettesse agli statunitensi. Ma l’ammiraglio lo ripose nella sua cassaforte, incoraggiando i criptoanalisti a completare il lavoro. Infatti, il 5 febbraio 1917, Hall non ebbe il nulla osta dal Foreign Office affinché consegnasse agli statunitensi tali informazioni. Ma Hall convocò un ufficiale dell’intelligence statunitense a Londra e gli diede lo stesso il telegramma. “In altre parole, il direttore dell’intelligence navale aveva unilateralmente preso la decisione di condividere un’informazione altamente sensibile con una potenza straniera, senza l’autorizzazione del proprio governo“. - gli Stati Uniti erano militarmente molto più forti del Messico. - le promesse della Germania erano ritenute appunto soltanto tali. Il Messico non poteva utilizzare alcun “generoso sostegno finanziario” per acquistare armi e munizioni, per la semplice ragione che poteva comprarli solo negli Stati Uniti, mentre la Germania non poteva inviare alcunché in Messico dato che la Royal Navy, ed eventualmente l’US Navy, controllava le rotte atlantiche. - infine, il Messico aveva adottato una politica di cooperazione con Argentina, Brasile e Cile per evitare un qualsiasi contrasto con gli Stati Uniti e migliorare le relazioni regionali. Comunque il telegramma fu reso pubblico, ma stampa e parte del governo degli Stati Uniti lo ritennero una bufala ideata dagli inglesi per coinvolgere gli USA nella guerra. Tuttavia, Zimmermann, in modo sbalorditivo, ne ammise pubblicamente la paternità, dicendo a una conferenza stampa a Berlino che semplicemente “non posso negarlo. E’ vero”. La Germania poteva benissimo dire che il “telegramma Zimmermann” era un falso, approfondendo così i gravi dubbi sulla faccenda espressi negli USA, dove l’opinione pubblica era poco restia a partecipare alla Grande Guerra. Perché allora Zimmerman confessò di averlo inviato? Nell’ottobre 2005, venne scoperto il presunto dattiloscritto originale della decifratura del telegramma Zimmermann, “scoperto da uno storico rimasto ignoto” che lavorava su un testo ufficiale della storia del Government Communications Headquarters (GCHQ), il servizio segreto elettronico inglese. Si riteneva che tale documento sia il telegramma mostrato all’ambasciatore Page nel 1917. Molti documenti segreti relativi a tale incidente furono distrutti su ordine dell’ammiraglio Reginald Hall. Certo, tutto ciò suscita un sospetto: in realtà si sa cosa ha scritto Zimmermann (Kemnitz), ma non è noto cosa avessero di certo mostrato gli inglesi ai diplomatici e al presidente degli USA. In Germania, le indagini su come gli statunitensi avessero ottenuto il telegramma Zimmermann portarono a credere che fosse stato violato in Messico, proprio come previsto dall’intelligence inglese. Quindi il presidente Wilson, che nel gennaio 1917 aveva detto che sarebbe stato un “crimine contro la civiltà” trascinare il suo popolo in guerra, il 2 aprile dello stesso 1917 affermò: “Consiglio che il Congresso dichiari che il recente corso del governo imperiale non sia in realtà nient’altro che una guerra contro il governo e il popolo degli Stati Uniti, e di accettare formalmente lo status di belligerante cui siamo stati così spinti”. 1) “Gli inglesi contarono 1198 vittime, tra cui 123 statunitensi, mentre in realtà i morti furono 1201; vennero infatti omessi i corpi dei tre tedeschi inviati sul Lusitania dall’attaché militare tedesco a Washington di allora, von Papen, per fotografare eventuali materiali sospetti. I tre furono scoperti e tenuti a bordo come prigionieri. In seguito, il segretario personale del presidente Wilson, Joseph Tumulty, fece credere a Washington che le spie fossero in possesso di un ordigno esplosivo, mentre invece si trattava della macchina fotografica”. Jacob H. Schiff, “Jacob H. Schiff Rejoices, By Telegraph to the Editor of the New York Times,” New York Times, 18 March, 1917. This can be viewed in The New York Times online archives: http://query.nytimes.com/mem/archive-free/pdf?res=9802E4DD163AE532A2575BC1A9659C946696D6CF  (accessed 12 January 2010). “Loans easier for Russia,” The New York Times, 20 March 1917. http://query.nytimes.com/mem/archive-free/pdf?res=9B04EFDD143AE433A25753C2A9659C946696D6CF  (accessed 12 January 2010). Après la révolution de février 1917 en Russie, la situation change sur le front de l’Est. Avant ce bouleversement politique, on se demandait si l’armée russe était encore capable de lancer une offensive; désormais, on sait qu’elle va tout bonnement se liquéfier. Les nouveaux détenteurs du pouvoir essaient toutefois de maintenir cette armée en état de combattre, rien que pour respecter les engagements qu’impliquait leur alliance avec les autres puissances de l’Entente. Mais le peuple et les soldats russes en avaient assez de la guerre. L’offensive lancée par Kérensky durant l’été s’était rapidement enlisée et les troupes pliaient sous le choc de la contre-offensive allemande. Près de deux millions de soldats russes abandonnèrent alors leurs unités et désertèrent. A partir de septembre, sur tout le front de l’Est, les combats cessèrent, comme déjà en mars et en avril de la même année. Immédiatement après que les bolcheviques eurent commis leur putsch d’octobre 1917, ils entamèrent des tractations pour obtenir la paix. Le 8 novembre, le “Deuxième Congrès panrusse des ouvriers et soldats” accepte les propositions de paix suggérées par le nouveau gouvernement révolutionnaire. Toutes les machinations entreprises par le gouvernement du Reich allemand pour révolutionner la Russie avaient abouti. Les plans, qui voulaient que l’on transformât tout de suite les pourparlers à l’Est en négociations de paix, furent considérés avec grand scepticisme par le haut commandement allemand qui préféra entamer d’abord des négociations en vue d’un armistice pour ensuite commencer à négocier une paix définitive. On décida d’abord de mener les pourparlers à proximité du front. 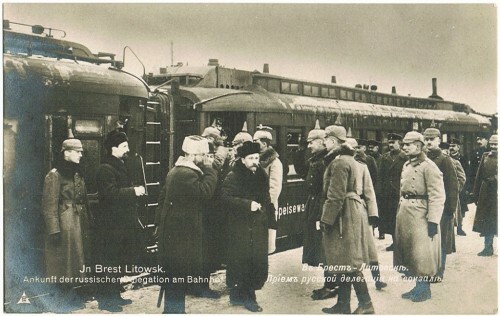 Au début du mois de décembre 1917, les négociations en vue d’un armistice se déroulèrent à Brest-Litovsk. Elle se terminent le 13 décembre. Les négociateurs allemands et russes s’étaient mis d’accord, dans un premier temps, de suspendre les hostilités jusqu’au 14 janvier 1918, suspension qui pouvait se prolonger automatiquement sauf si l’on faisait usage d’une clause prévoyant un délai de renonciation de sept jours. Dans la phase initiale des négociations, la Russie et les puissances centrales agissaient encore sur pied d’égalité. L’Autriche-Hongrie voulait à tout prix signer la paix avec la Russie, sans poser de conditions, mais le Reich allemand, lui, songeait à l’annexion de la Courlande et de la Lituanie. Les Soviétiques, pour leur part, surtout Trotsky, tentaient de faire traîner en longueur les négociations; ils tenaient, dans cette optique, de longs discours propagandistes et espéraient ainsi déclencher d’autres révolutions partout en Europe. 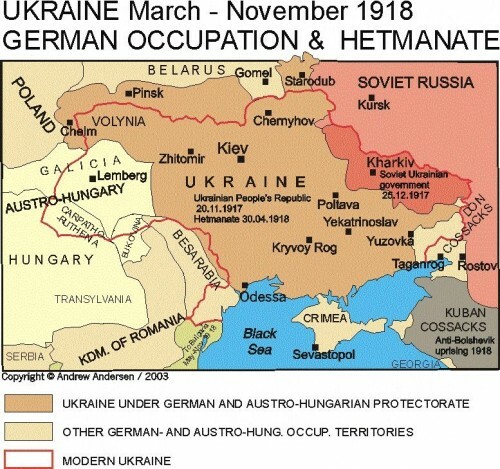 Lorsque, le 9 février 1918, les puissances centrales signent une paix séparée avec l’Ukraine, les négociations s’interrompent. Les bolcheviques exhortèrent alors les soldats allemands à tuer leur empereur et leurs généraux. Trotsky déclare alors ne pas vouloir signer une paix qui impliquerait l’annexion de territoires ayant appartenu à l’empire russe. Mais, simultanément, il déclare que la guerre contre l’Allemagne, l’Autriche-Hongrie, la Bulgarie et la Turquie est terminée. Le 18 février 1918, les armées allemandes de l’Est, qui avaient déjà envoyé des divisions à l’Ouest contre les Franco-Britanniques, amorcent leur grande marche en avant, que l’on peut qualifier de “marche en avant par chemin de fer”, vu la disparition des armées russes. Les Allemands occupent alors toute la Lettonie et toute l’Estonie. Lénine reconnait aussitôt le danger que constitue, pour la révolution bolchevique, une pénétration plus profonde des armées “centrales” dans l’intérieur des terres russes et suggère d’accepter les propositions allemandes, y compris l’abandon de l’Estonie et de la Lettonie. Il met sa propre personne dans la balance: si les bolcheviques n’acceptent pas cette suggestion, Lénine démissionera de tous ses mandats. Le 25 février 1918, le dernier volet des négociations commence: le Reich dicte littéralement la paix, sa paix, aux Soviets: la Russie bolchevique doit signer avant le 3 mars le traité et accepter les conditions voulues par les Allemands. La Russie perd alors bon nombre de terres non russes, comme la Finlande et les Pays Baltes, la Pologne et Batoum sur la Mer Noire. On a souvent comparé la paix signée à Brest-Litovsk au Diktat de Versailles. Plus tard, Lénine posera son jugement sur l’aberration qu’il y a à procéder à une telle comparaison: “Vous savez bien que les impérialistes alliés —la France, l’Angleterre, l’Amérique et le Japon— ont imposé le Traité de Versailles après avoir détruit l’Allemagne, mais ce traité est bien plus brutal dans ses effets que le fameux traité de Brest-Litovsk, qui a fait pousser tant de cris d’orfraie”. (article paru dans “zur Zeit”, Vienne, N°10/2013; http://www;zurzeit.at/ ).